Be a citizen scientist! See below for information on how you can get involved with our ongoing research projects. This tag-and-release research/education project focuses on the population ecology of the horseshoe crab (Limulus polyphemus) in Long Island Sound. Jennifer Mattei of Sacred Heart University's Biology Department is the principle investigator of this long-term community-wide research project. The Maritime Aquarium participates by tagging and collecting data on horseshoe crabs encountered during field studies with students and study cruises with school groups and the public. One reason for the study: survival of migratory shorebirds has been linked to the horseshoe crab's breeding season. Each spring, migrating shorebirds consume horseshoe crab eggs, helping to fuel their long trip north to breed. In addition, the federally protected loggerhead sea turtle also depends on horseshoe crabs for food. Horseshoe crabs are important to us because of a component in their blood that is used to detect bacterial contamination in manufactured drugs and other pharmaceutical products. Thus, the crabs are commercially harvested for this reason ... and also for use in eel pots by fishermen. By understanding the population dynamics of this species, we will be better able to manage their harvest and prevent their extinction. 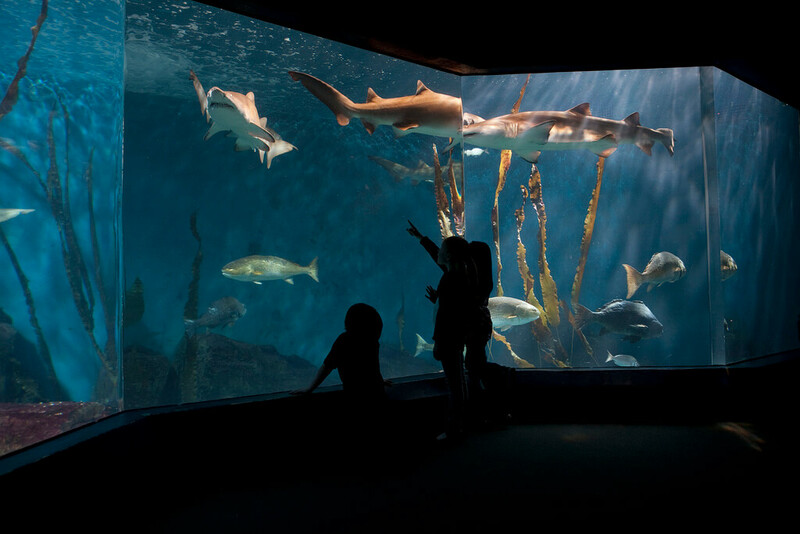 Other participants include Project Oceanology in Groton, Soundwaters in Stamford, the Bridgeport Aquaculture School, the Yale Peabody Museum of Natural History in New Haven, and the Connecticut Audubon Coastal Center in Milford. Horseshoe crabs come up onto beaches to spawn on the nights of the full and new moons in spring. That’s a tagging bonanza time for researchers, so extra volunteers are needed to help. Volunteers should be in 10th grade or older. Younger children can assist if working with a parent, teacher or guardian. Tagging sessions at Calf Pasture Beach in Norwalk will be held on selected early mornings and late nights in late May, June and July. The Maritime Aquarium is a proud participant in Osprey Nation - Connecticut Audubon Society’s citizen science partnership to monitor the health of our state’s Ospreys. The goal of Osprey Nation is to create a long-term record of data that will give the conservation community a better understanding of the health of Connecticut’s Osprey population. We have completed our 2019 training sessions. Keep an eye on this page for how to get involved in spring 2020! “FrogWatch USA” is a nationwide citizen-scientist program that provides individuals, families and groups with opportunities to learn about wetlands in their communiti es by reporting on the calls of local frogs and toads. Observations are reported to a national online database to contribute to amphibian-conservation efforts. “FrogWatch USA” has chapters all across America, hosted by zoos, aquariums, nature centers and other organizations accredited by the Association of Zoos & Aquariums (AZA). 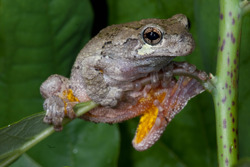 Our chapter is a collaboration between The Maritime Aquarium, Connecticut’s Beardsley Zoo and Yale’s Peabody Museum of Natural History to monitor area frog populations.